Hold on tight! Mini-Himalaya℠, located in the Founder's Way℠ region, takes you gently over small hills while moving on a circle track! 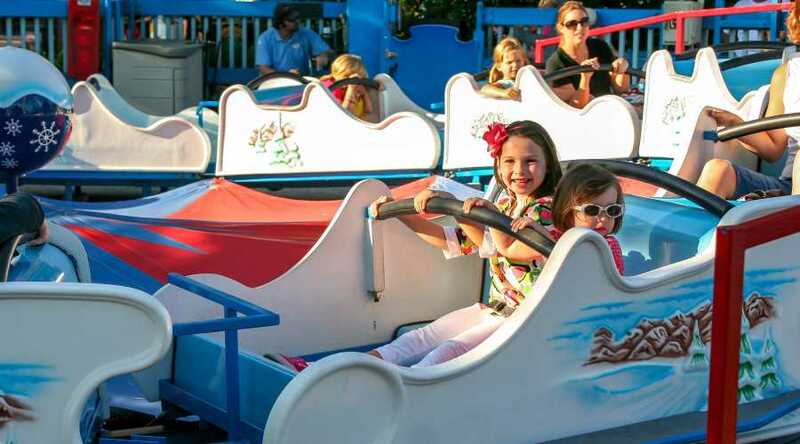 This ride is enjoyable for all height categories, from Hershey's Miniatures to Twizzlers! Attraction availability is subject to change. Operation of attractions is subject to weather conditions. Hersheypark suggests that if you plan on riding rides to please bring into the park only items that can be safely secured in cargo pockets, a waist pack or a zipping jacket pocket. To secure loose articles, a cargo pocket must fasten with a velcro or button flap or a zipper, a waist pack should fasten around the waist and have a zipper closure, and a jacket pocket must have a zipper closure. Long hair, head scarves and long jewelry must be secured. Must be accompanied by a supervising companion.